plant will grow tall and spindly as it reaches for the light. This is often referred to as "stretching." Young plants will quickly do this. For seedling growth, having at least 500 foot candles of light is required. This can be either natural or artificial light. If artificial light is used, set a timer that turns the light on for 16 hours and off for 8 hours of each day. Plants do need darkness as part of their daily cycle, so do not leave the light on all of the time. Since your garden can hold a limited number of plants, be sure to plan what you will grow prior to planting. Schedule regular seeding for plants like lettuce and radishes for a continuous harvest. 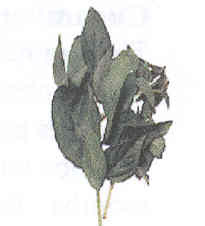 Basil is a fast growing, hardy herb that is an excellent choice for a hydroponic garden. growing medium such as perlite or expanded clay pebbles. 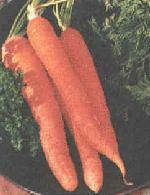 Carrots will be ready to harvest in about 2-1/2 -3 months. system with perlite or rockwool as the growing medium. Pick the cucumbers regularly to encourage continuous production. Plant support will be needed for cucumber plants. The cucumber plant will be quite large so provide adequate space if you choose to grow them. 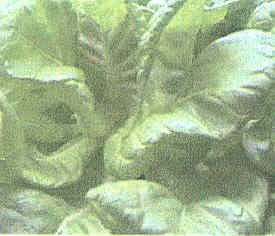 Most lettuce varieties will be ready for harvest in 35- 45 days. When harvesting, you can remove just the leaves you need or you can harvest the whole plant. 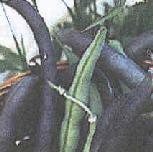 If you are harvesting the whole plant, remove the root ball with the plant and refrigerate to store. Seed lettuce every few days for a continuous supply. an ebb and flow system. Radishes will do well in hydroponics as long as they have a grow bed deep enough to accommodate their growth. Radishes germi- nate and grow very quickly. 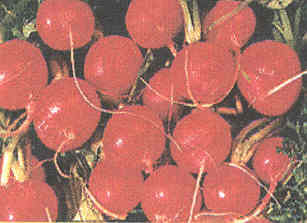 Most radish varieties will mature in 30 -40 days. Continuous planting will give you a steady supply. or expanded clay pebbles as the growing medium. system will both produce good results. 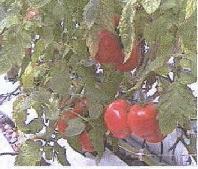 Tomatoes are the most popular commercial hydroponic crop. 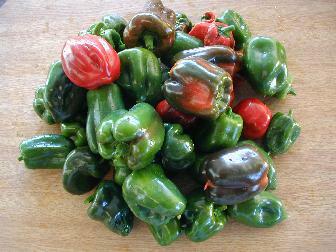 Most commercial growers grow full size, indeterminate varieties. These varieties will bear fruit in about 100 days and continue to produce up to a year. There are miniature tomato varieties available that are perfect for a smaller hydroponic garden. droponic garden but they will also grow in other systems. If you are growing tomatoes indoors, you may need to pollinate the individual flowers for fruit set to occur. This can be achieved by vibrating the flower or flower truss. As a tomato plant develops, plant support will be needed.